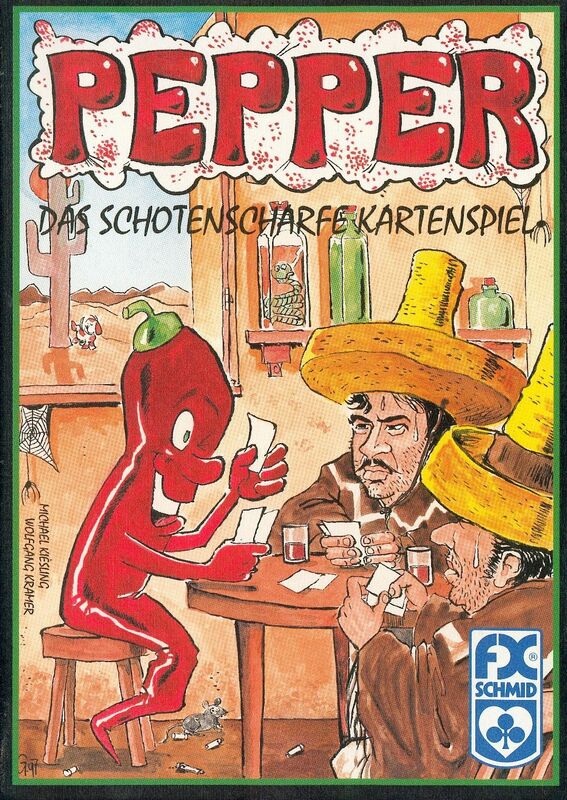 Game consists of 102 cards in 6 colors along with 6 Pepper Cards. The Pepper cards have a special function. Players try to avoid winning them because they adds points from your score at the end. Each player is dealt 12 cards. You must follow suit if you can. Hands end as soon as 1 player has no more cards. Anyone who has cards remaining adds them to the cards taken in tricks. After 5 hands the player with the lowest point total wins.